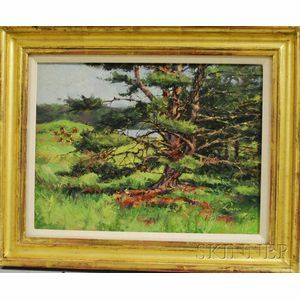 Maine Pine. 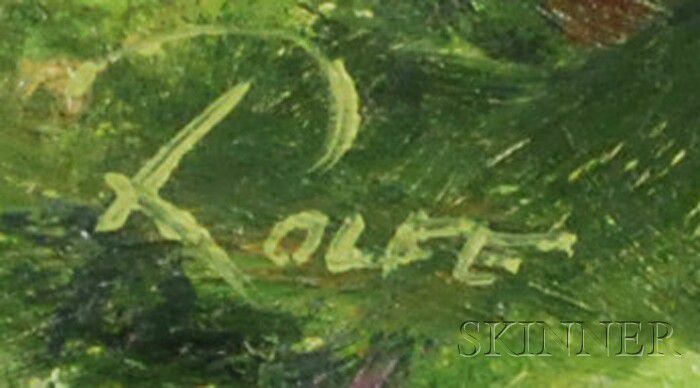 Signed "Rolfe" l.r. and identified on a label on the reverse. 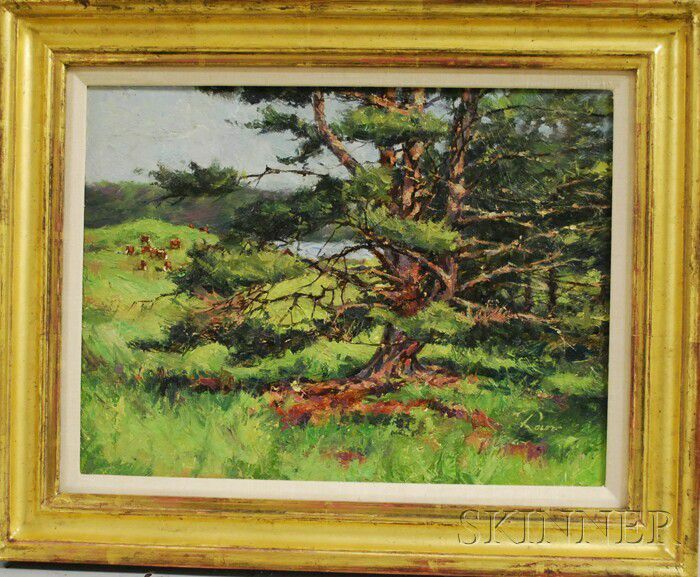 Oil on panel, 12 x 16 in., framed. Condition: Minor surface grime.